Marking the Feast of the Sacred Heart of Jesus during Mass at the Casa Santa Marta, Pope Francis remarked on how it could be said that the festivity celebrates God's love. God is the first to love “It is not us who first loved God,” it's the other way around: “it is He who loved us first” he said. The Pope said the prophets used the symbol of the almond blossom to explain this reality highlighting the fact that the almond blossom is the first to bloom in spring. 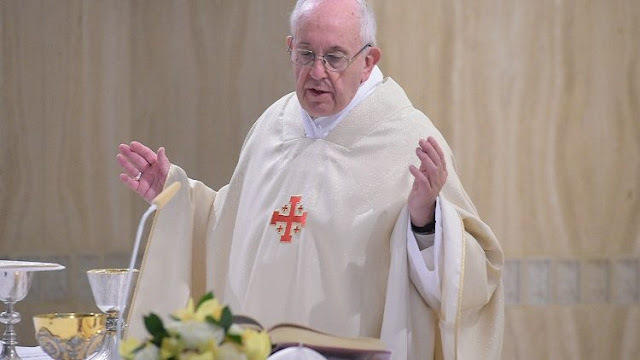 However, Francis continued, it is not easy to understand God's love as is narrated in the passage from today liturgical reading in which the Apostle Paul speaks of“ preaching to the Gentiles the inscrutable riches of Christ.” “It is a love that cannot be understood. A love that surpasses all knowledge. It surpasses everything. The love of God is so great; a poet described it as a “bottomless sea without shores…” This is the love that we must try to understand, the love that we receive” he said.